A second-team All-West Central Activities Conference girls basketball player is among the top returning athletes at West Central Valley Community Schools this winter. WCV girls basketball coach Drew Stonewall confirmed with Raccoon Valley Radio Monday night that junior Sydney Neal is among the returners for the 2018-19 season. Neal had a stellar sophomore campaign for the Wildcats last winter, ending the season with a team-best 185 rebounds. She’s also the team’s returning leading scorer with 190 points contributed in 21 games played. 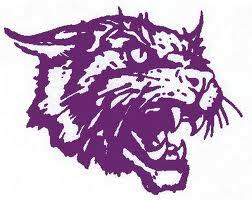 The West Central Valley Wildcats varsity girls basketball team will take part in a preseason scrimmage Saturday at Atlantic High School. The Wildcats 2018-19 competition season opens Tuesday, November 20, traveling to Greenfield for a nonconference contest against the Nodaway Valley Wolverines.